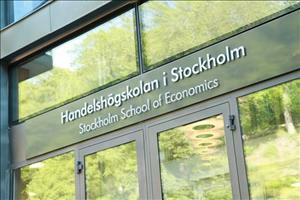 The Stockholm School of Economics (SSE) is rated as the top business school in the Nordic and Baltic countries and is highly regarded internationally. SSE offers programs of the highest international standards, including bachelor, master, PhD, MBA and executive education programs. The school also conducts world-class research. Our programs are developed in close cooperation with the research and business communities, which give our graduates great potential to attain leading positions in companies and other organizations. SSE is accredited by EQUIS, certifying that all of the main activities – teaching as well as research – are of the highest international standards. SSE is also the only Swedish member institution of CEMS and PIM, which are collaborations between top business schools worldwide, contributing to the high quality SSE is known for. SSE was founded in 1909 on the initiative of Swedish business leaders, and the school has maintained close ties with the business community ever since. Some of the world's leading companies such as H&M, Ericsson, ABB and Scania are all Corporate Partners to SSE. This relationship guarantees that our research and what we teach remains current and relevant. All our programs are founded on intrenationally recognized research, and we are proud that currently three of oour very own professors are members of the Committee for the Nobel Prize in Economic Sciences. SSE is also grateful for the opportunity to host the Economics Nobel Laureates, as a tradition, every year in December to share and discuss their research with our students. By filling in the Information Request Form below, you'll receive more information on » Stockholm School of Economics and their Executive MBA program.